Cost-effective wind turbines require reliable components. Schaeffler offers the ideal bearing solution for every wind turbine as well as a holistic safety concept. 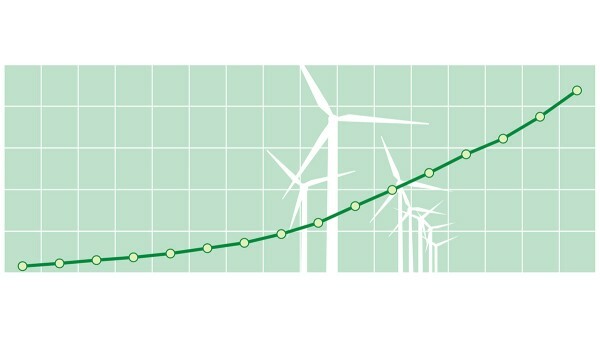 An increasing number of wind turbines are being installed worldwide. 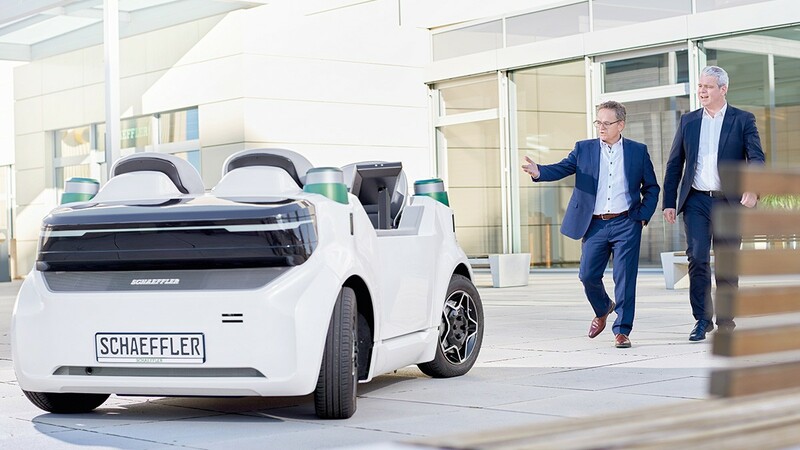 Schaeffler is making its contribution by providing reliable components and a comprehensive range of services. The booming global market has grown out of its infancy stage and poses new challenges for wind turbine manufacturers and component producers. 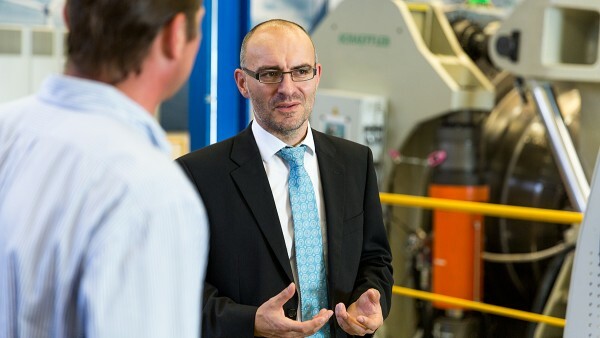 An interview with Schaeffler expert Andreas Mangold. Mr. Mangold, the expansion of wind energy in Germany has slowed down a little lately. Does this mean that the global market for wind energy is losing momentum? The latest statistics show unhindered growth. According to figures provided by the Global Wind Energy Council, more than 430 gigawatts of power from wind energy had been installed by the end of 2015. We are expecting another increase of around 55 to 60 gigawatts per year until 2020. There are a number of reasons for this. The demand for energy will continue to increase around the globe. 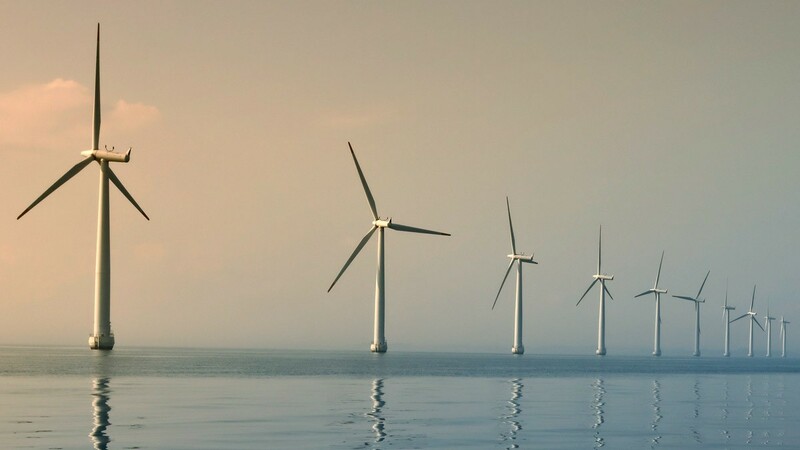 In addition, there have been important decisions such as the Paris climate protection agreement that has now also been ratified by China and the U.S. Another good indicator are the new projects of operators and manufacturers that are currently in the pipeline primarily in offshore applications, that is, wind turbines in the ocean. All this hints at continued growth. 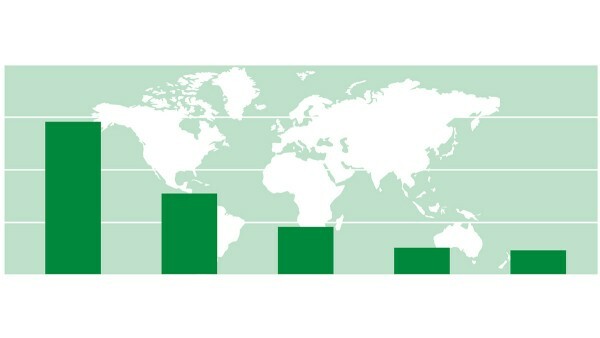 In which regions of the world do you see the greatest market potential? China is clearly the largest market with the highest growth rates, which is fueled even more by a rising demand for energy. China is also a good example of the ecological aspect of wind energy because this form of energy production can help improve the air quality in urban areas. The market in the U.S. Is the second most important worldwide and was influenced by a subsidy model based on tax credits for a long time. Now some states are defining their own general conditions. Due to the necessary network expansion in Germany, we are currently experiencing a time of change in which additional installations will be regulated by requests for bids for a while. Another important market is India, which is characterized by a growing demand for energy, similar to China. What is it that drives the market for wind energy worldwide? 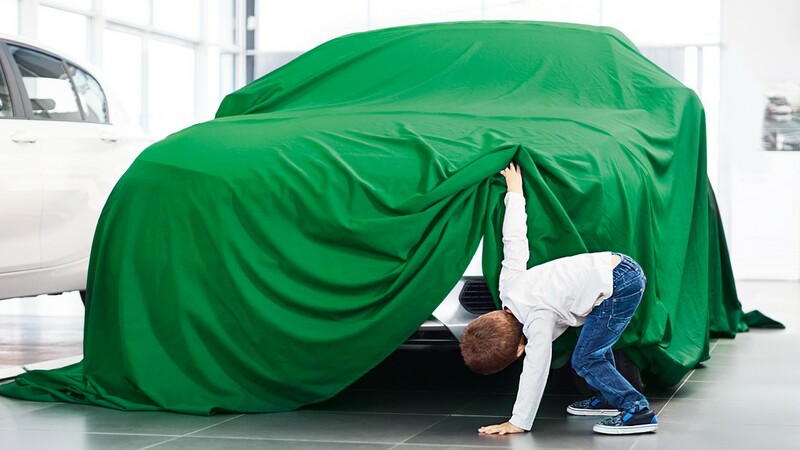 The market has grown out of its infancy stage. An essential driver are the energy production costs throughout the service life of a wind turbine. This includes a large number of trends, such as maximizing the performance per foundation through larger turbines. Onshore, the market is moving towards three to four megawatt turbines, at least in Europe. The increase in productivity primarily plays a role offshore. Today, the largest offshore turbines already have an output of eight megawatts, and in a few years we will be seeing even larger ones with up to ten megawatts. Ever larger turbines will be built by a small number of manufacturers, because the market has been consolidating. 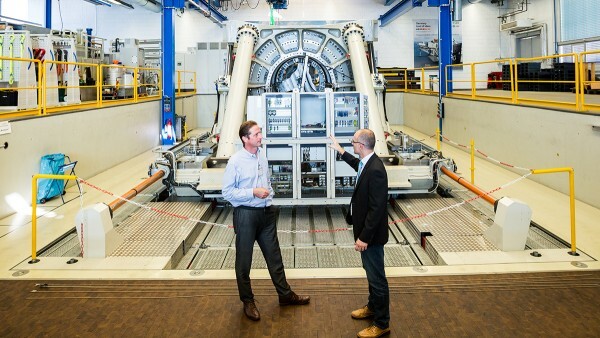 Andreas Mangold (right) in front of the large-size bearing test rig Astraios. With its realistic force and torque simulation, Astraios has been providing valuable results, which are used for the new development of bearing solutions. What is the impact of this trend towards bigger wind turbines on components and systems? For a start, the rotor blades will become longer. It is not that easy to make an accurate estimate though. Fifteen years ago, engineers thought they had reached the limit when blades were 30 meters long. Today, the turbines have blades that are twice as long with rotor diameters of 160 meters and more. For the drive train this means that the forces that are transmitted from the rotor to the bearing and shafts will continue to increase. As a result, there will be greater dynamic loads on these machine components. To keep the machines as lightweight and compact as possible, however, we cannot accommodate this kind of additional load by constantly increasing the diameter accordingly. So we need new design approaches that ensure continued compact and lightweight construction. What might new approaches look like? Let’s take the main bearing in a wind turbine as an example. In the case of the current multi-megawatt turbines offshore, there is a trend towards designing rotor bearing supports with tapered roller bearings. There are two design approaches: The so-called locating bearing - a double-row tapered roller bearing that supports all forces and torques from the wind in a bearing position - is designed as a flange-mounted bearing and consistently meets all requirements for easy mounting and a modular structure. Another way is to use so-called adjusted bearing supports with two single-row tapered roller bearings that are braced against each other axially. Here we can create a balance between increasing loads and the bearing diameter by optimizing the lever arms of load application and load capacity through the bearings. So the bearings, shaft and housing are not necessarily becoming bigger, but they have to withstand more? Exactly. But there is another important aspect. 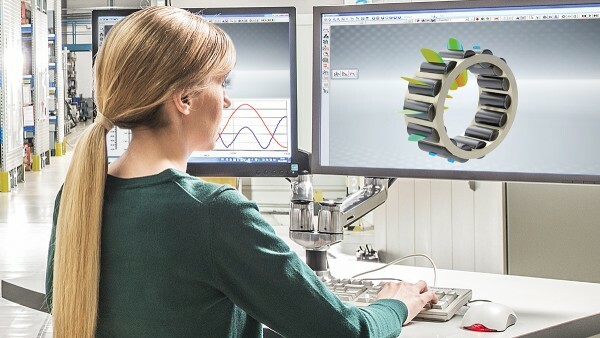 In addition to this increase in productivity, the requirements for the reliability of components and systems is also increasing because they too have an effect on the production costs. 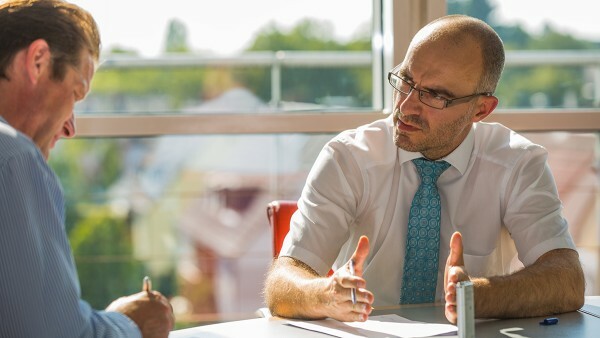 Components have to do more and at the same time function reliably throughout their service life. From Schaeffler’s point of view this will work only if we do not look at individual components, such as the main bearings and the gearbox, in isolation, but if we understand the entire system and its interaction. 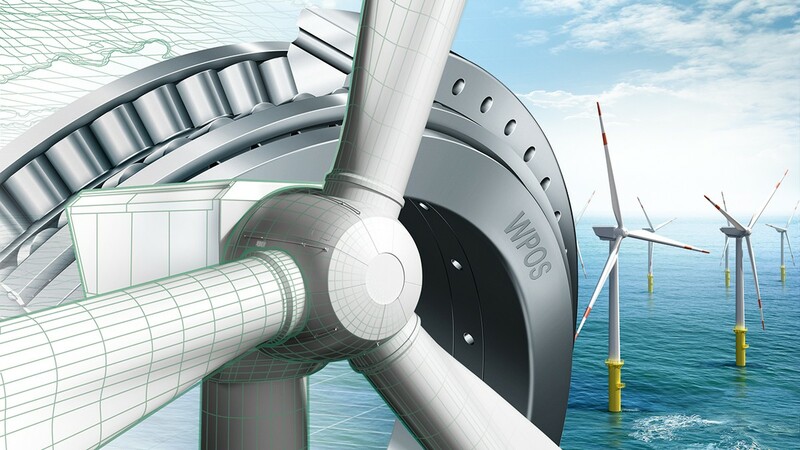 "In the case of the current multi-megawatt turbines offshore, there is a trend towards designing rotor bearing supports with tapered roller bearings", explains Andreas Mangold. Simulation models are the basis for developing robust bearing systems. What must you do to fully understand the system? We work closely with wind turbine manufacturers and the suppliers of other components in a very early stage of development. Besides, our simulation models allow us to reproduce an entire wind turbine, from the rotor blades to the drive train to the foundation. That is the basis for developing robust bearing systems. Is there a trend towards drive trains with a direct drive and without a gearbox? There is no clear answer. There is a market for turbines with gearboxes as well as for those without gearboxes. There are applications in which a direct drive can be a good idea. 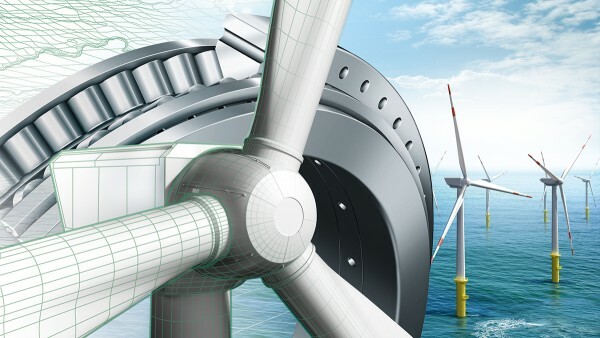 Siemens, for instance, relies on a lean, modular system for offshore turbines, with a rotor hub, rotor blades, rotor bearing and a generator unit with a direct drive. The main issue here is to have a crane quickly transport a small number of components to where they are needed, install them and commission them - and to be able to replace them easily later. Again, what is important here is the production costs for energy. This can be completely different onshore. Why is wind energy so important to you personally? The demand for energy will continue to increase around the globe. This means we will have to produce more energy. In the long term, though, the conventional production of energy will become more and more expensive because resources are limited and it will become increasingly difficult to extract them. Wind is a resource that is unlimited. Just the fact that a wind turbine generates the amount of energy it took to produce the wind turbine shows: Wind energy is a very efficient way of producing energy. We want to help make the turbines an economic success with our robust and reliable components and systems. "Within only a few months, a wind turbine generates the amount of energy it took to produce the wind turbine shows", says Andreas Mangold.